EduFocal is an online social learning community. The company is focused on using technology to enrich the learning experience outside of the classroom as well as to help ideate and innovate the way we move forward with technology in education. 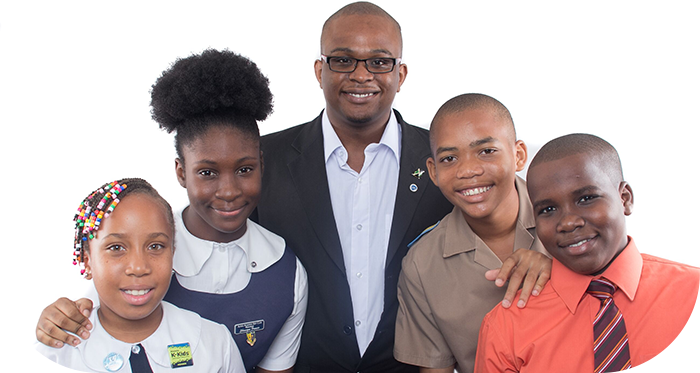 The idea to create EduFocal came to Gordon Swaby in 2010 and more than 2-million lines of coding later EduFocal Ltd was launched at The Jamaica Pegasus Hotel on March 15, 2012. Of EduFocal, Swaby says it is an “intuitive product that isn’t only cool and fun to use but also boosts students comprehension and retention skills. EduFocal's mission is to become the premiere social learning platform in the Caribbean”. The social learning community offers over 15,000 preparatory questions for the PEP and CSEC programmes, presented in a manner akin to popular role-playing games (RPG). As students go through and complete the questions on EduFocal’s website, they are rewarded with experience points which allows them to ‘level up’. The more experience points students get and the higher up in levels they go, they will be able to unlock rewards from EduFocal. Qualified educators in the various subject areas including English Language, Mathematics (students can see worked solutions for hundreds of math Questions on EduFocal), History, Geography, Information Technology, Biology, Chemistry, Physics, Social Studies and more prepare the questions presented to students. These educators are paid by EduFocal. Currently, EduFocal Ltd employs 5 persons, with Swaby leading the company as its CEO. Even the logo for EduFocal tells a story – the overlappng of the shapes represents EduFocal’s mission of connecting students with teachers. The shapes also represent how students can become mentors as they learn and reach a certain level. This is shown by the shape of the swirls, which starts as a small point, and then grows and widens until they overlap to create a full circle.